The "Spa" color. 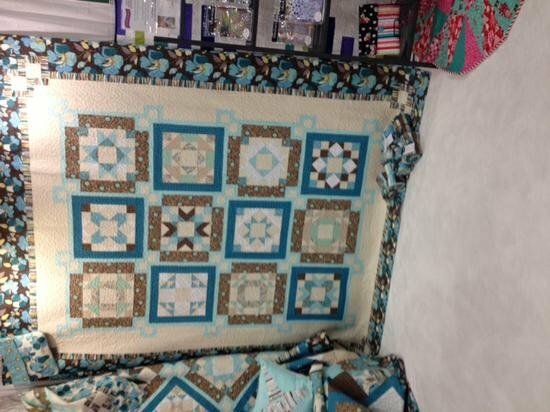 Quilt was shown at International Quilt Market, Houston, TX. October 2013. 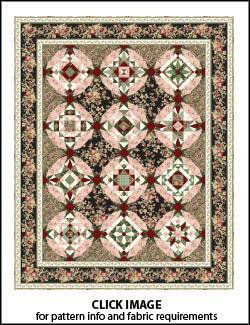 This pattern is from "Simply Charming Collection" by Moose on the Porch Quilts. The fabrics are from Jo Morten's "Hurrah" fabric line for Andover Fabrics. Coming in February 2014. 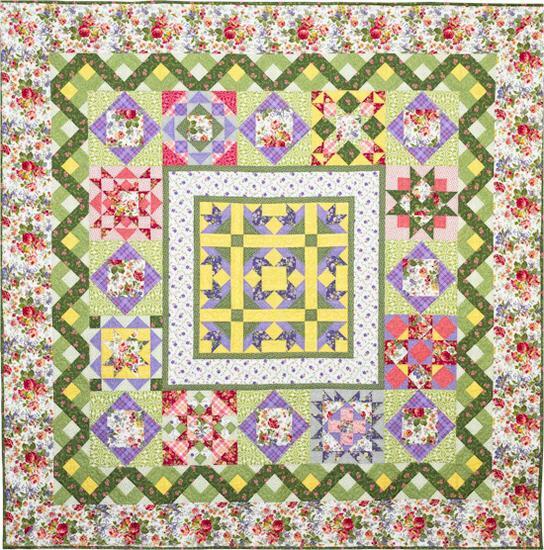 The quilt is made from Tomorrow's Promise fabric collection by Maywood Fabrics. Coming in February 2014. 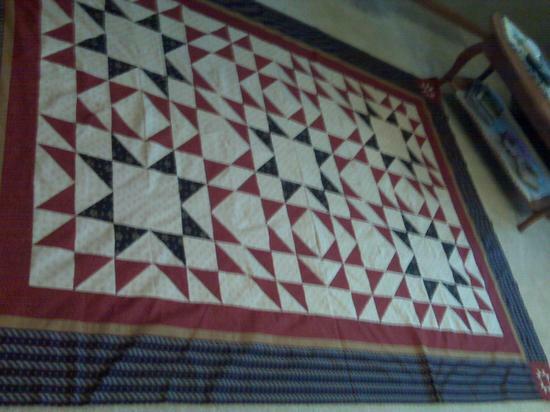 Quilt can be selected as either a BOM or as a full kit. Fabric is Tomorrow's Promise collection by Maywood Fabrics. Coming in March 2014. 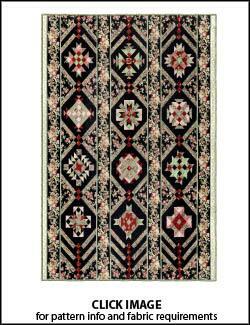 This quilt was at International Quilt Market, Houston, Texas in October 2013. It is stunning! Fabrics from Windham Fabrics.